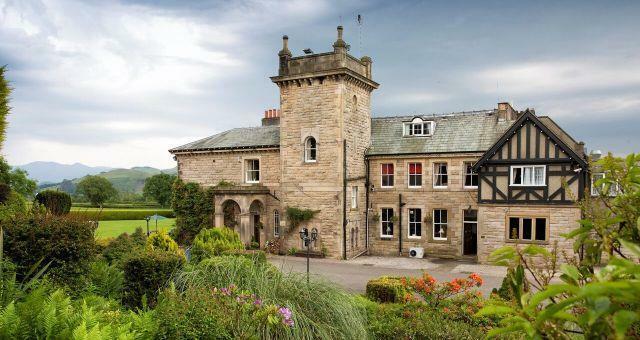 Hundith Hill Hotel Limited01900 822092work01900 828215fax Country House HotelLocated in the picturesque Lorton Valley, this beautiful Country House Hotel, offers stunning views of the Cumbrian countryside and fells. With 25 bedrooms, various function suites, restaurant, modern bar and lounge, Hundith Hill is the perfect venue for country escapes, weddings, conferences, and meals. 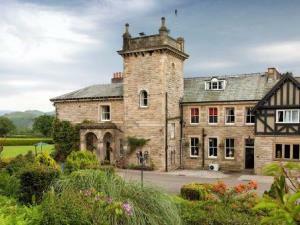 This former house and nursing home has been a family run country house hotel for over 30 years. 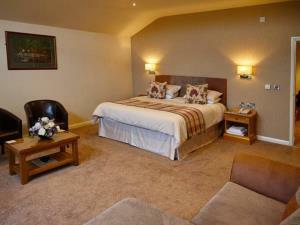 Set in its own picturesque grounds with ample free parking and stunning views of the Lorton Valley and Lakeland Fells. Located on the outskirts of the Georgian town of Cockermouth and only a stone’s throw away from Keswick, Hundith Hill Hotel truly is the ideal location to have a relaxing stay. Enjoy a three course meal in our comfortable dining room or a bar meal in our modern bar lounge with views of the beautiful Lorton Valley. Our food is locally sourced and prepared by our Head Chef and his expert team. The perfect venue to host a conference, meeting, exhibition, trade fair, product launch and indoor team building activities. Our purpose built banqueting suite overlooks the stunning Lorton Valley and surrounding countryside and our smaller suite is perfect for more intimate functions. The Deluxe Double rooms have balconies or patio areas with outdoor furniture to enjoy the beautiful setting. All complete with modern high-spec en-suites, widescreen 32? (80cm) wall mounted TV’s, digital climate control and underfloor heating system. We stayed 2 nights. The first night was fine and peaceful. On the second night there was a function in the hotel with loud thumping music and noisy carousers until 1am. Then during the night the fire alarm sounded 3 times. Needless to say we slept very little that night. There was no word of apology or explanation from the hotel management. Then, to cap it all, they tried to overcharge us on our bill. The primary reason for staying in a hotel is to sleep. If you cannot sleep when you want to, the hotel is not fit for purpose. Located in the picturesque Lorton Valley, this beautiful Country House Hotel, offers stunning views of the Cumbrian countryside and fells. With 25 bedrooms, various function suites, restaurant, modern bar and lounge, Hundith Hill is the perfect venue for country escapes, weddings, conferences, and meals. From the east and south, from M6 jct 40 take the A66 towards Keswick and Workington. Approximately 30 miles along the A66 you approach a large roundabout and Cockermouth is signed to the right on the A5086. Go down the hill towards Cockermouth town past Sainsbury's Supermarket on the left and then take the next right turn signed Lorton and Buttermere the B5292. Follow the B5292 for approximatley 1.5 miles, you then go under a road bridge and turn first left into the hotels driveway. From the north, Carlisle, take the A595 following Cockermouth signs. As you drop down into Cockermouth turn left at the mini roundabout onto Main Street. Go along Main Street and turn right just after the second pelican crossing into Station Road. At Sainsbury's take a left turn signed Lorton and Buttermere the B5292. As above.